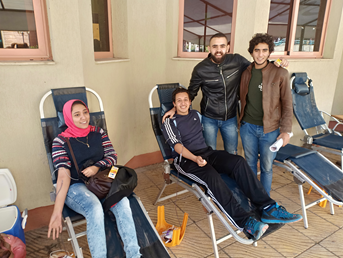 The faculty of Mass Communication, in collaboration with Dream Team (a PUA student club) and ElShatby Hospital Blood Bank, organized a blood donation campaign on Tuesday, 4 December 2018 from 10am to 3pm. This was held at the entryway of the food court of Pharos University. 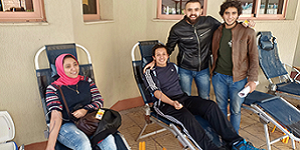 A considerable number of student blood donors took part in the campaign. The coordination of the campaign was managed by 40 students from Dream Team and the faculty of Mass Communication.